Confederation of Southern African Football Association (COSAFA) President, Philip Chiyangwa, who has been under the radar since his unceremonious departure from the Zimbabwe Football Association (ZIFA) boss, has congratulated the five teams from his region which made it to the African Cup of Nations Tournament in Egypt. For the first time in 21 years, COSAFA will have five teams at the continent’s bi-annual football showpiece. The quintet will battle it out at the expanded 24-team competition in Egypt from June 21-July 19, with the draw for the first-round pool stages scheduled for Cairo on April 12. Chiyangwa said he was elated by the feat achieved by COSAFA adding that junior policy is paying off. “We are immensely proud of the teams from our region who will fly the COSAFA flag in Egypt. This shows that football is growing in Southern Africa,” said Chiyangwa. “We believe this is a direct result of the work we at COSAFA have been doing at senior and junior national team levels to help develop players in the region and give them exposure on the international stage,” he said. 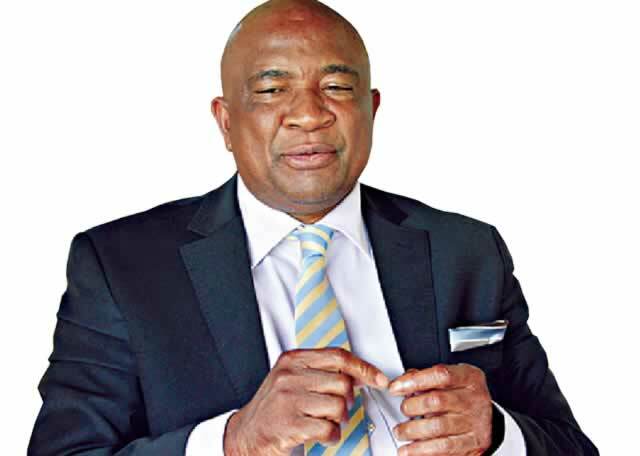 Ironically, during his tenure as ZIFA president, Chiyangwa failed to institute a strong junior policy which has seen the Zimbabwean national team performing badly at tournaments. “Players who have been unearthed in our Under-17 and Under-20 tournaments in the last few years are now stars of their senior teams and that is the exciting pathway that COSAFA provides,” he said. Traditionally, teams from COSAFA have not performed well on the continental stage, with South Africa being the only team that has won the coveted cup in 1996. “We wish all the teams the very best at the finals in Egypt and also commiserate with those who came close to qualification, but narrowly missed out,” he said. South Africa sealed their place with a hard-fought 2-1 victory over Libya in neutral Sfax, Tunisia, with forward Percy Tau grabbing a brace to send Bafana Bafana to their second tournament out of the last three. Zimbabwe booked their place with a 2-0 home win over Congo-Brazzaville with Khama Billiat and Knowledge Musona scoring two first-half goals, while Namibia lost 4-1 at already ousted Zambia on Saturday, but still managed to advance to the finals as luckless Mozambique conceded late on and were held to a 2-2 draw in Guinea-Bissau. Angola earned their place on Friday night with a 1-0 win at already eliminated Botswana that saw them win their pool and advance along with Mauritania. Madagascar had already sealed their qualification some time ago and finished their group campaign with a 2-0 loss at Senegal. Lesotho was one of those sides who came close to adding to COSAFA’s numbers at the continental showcase finals when they were held to a 0-0 draw in the Cape Verde Islands when a win would have seen them on the plane to Egypt.